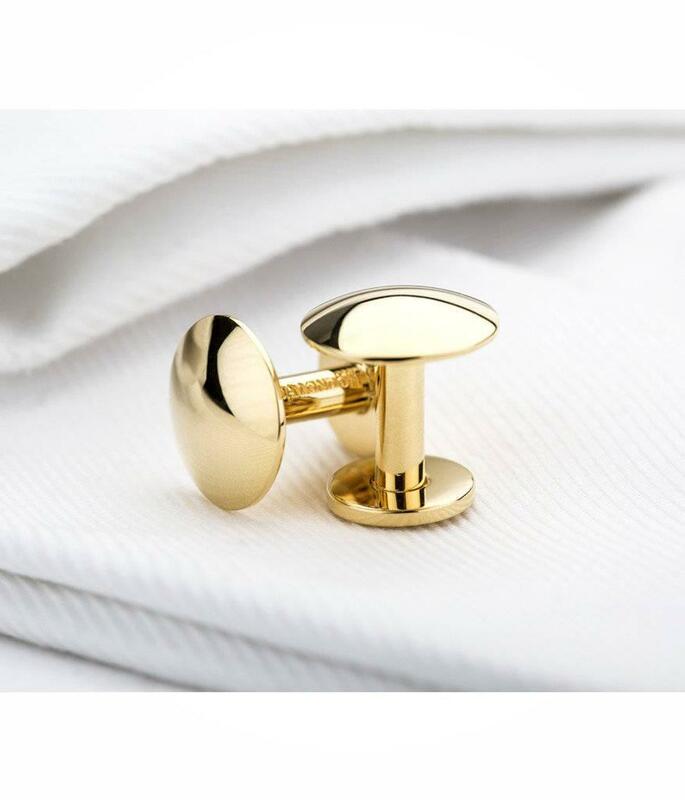 Our Windsor Cufflinks are meticulously handcrafted from solid brass which is then plated with gold. Everything about our cufflinks simply oozes quality, style and distinction. Polished Gold Finish Gold Plated Brass Face Diameter 16mm Length 18mm Each pair of cufflinks will arrive in an elegant Moda London signature presentation box.